But is anyone reading all this writing? No, according to Genoways—not even the writers themselves. More to the point: if Americans aren’t even reading what is being written within our borders, why should they care about world literature? Last year, the editors of World Literature Today decided to conduct a survey to find out. Once we tallied the results, it confirmed what we already suspected: our readers do indeed care, and they are passionately engaged with both American and world literature. Subscribers and nonsubscribers alike consistently gave WLT high marks, more than anything else, for publishing work by and about writers they wouldn’t have heard about otherwise. As one respondent wrote, “No one else is covering this material.” Readers commented on their delight in discovering the sheer variety of literature presented in these pages; being enriched by the breadth, comprehensiveness, and reliability of our coverage; appreciating the timeliness of WLT’s focus on contemporary writing; and feeling connected to a worldwide community of likeminded readers. Words like “moving,” “compassionate,” “surprising,” and “invigorating” appear frequently in the results. But we also received a healthy dose of critique. When asked what they liked least about the current WLT, several respondents wished we were still the “thick,” review-dominated journal of the 1970s and ’80s, not the magazine as it’s evolved in the past decade. Respondents also took us to task for not providing enough contexts for understanding. 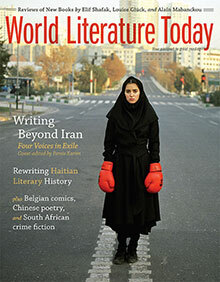 One reader wrote that, ironically, WLT is “almost overwhelming”; given the very ambition of our scope, we always risk presenting a partial, even fragmented view of the world. That same reader wished for more big-picture synthesis to show the interrelations among trends, not just individual brushstrokes on the canvas that is contemporary international literature. Another asked for “more women writers, more intersectionality, more about class and inequality, more about literature arising from global warming and climate crisis.” (To see highlights of the survey results, turn to page 4.) In response to these and other helpful critiques, the editorial team is already planning a number of changes for 2015 and beyond. Stay tuned, as they say—we’ll announce those changes as we implement them. 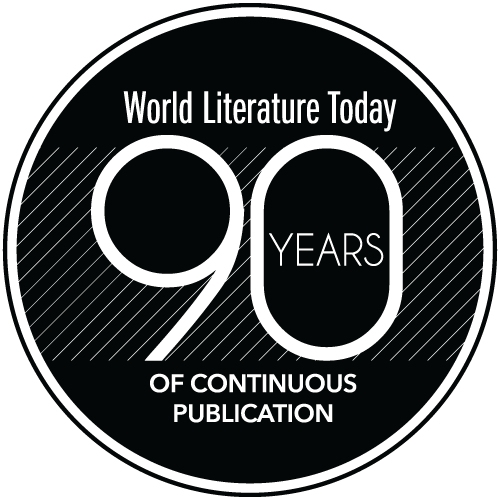 In his foreword introducing the very first issue of Books Abroad (WLT’s precursor), founding editor Roy Temple House wrote: “Readers who see how later issues can be made an improvement over this first one are urged to write and make suggestions” (1927). That solicitude for feedback from our readership continues to the present day. You only need a mission statement to conceptualize a magazine, and enough scraped-together funding to launch one, but without an audience, no publication will exist for long. Receiving feedback from our readers is vital to WLT’s continued growth as a magazine, both in print and online. We’ll repeat the survey in a few years to see how much progress we’ve made. In the meantime, keep telling us how you’d like to see WLT evolve. Even in this era of seismic shifts, WLT will stay true to its mission: to “reflect” the literary world, in House’s words, even if we can’t always “reform” it—and even when the actual boot soles of tyrants try to silence it.